The turbocharged engine may sound like fun, but for the best balance of equipment and price, look at the mid-level EX trim. The 2016 Kia Sportage offers good looks, a quality interior, and the fun of available turbocharged power, but it is small inside and it's falling behind in safety ratings. While the Honda CR-V and Toyota RAV4 have evolved to favor space efficiency and practicality over design, the Kia Sportage manages to hold onto a little more flair in the Sportage, especially if you go by its profile and stance. The 2016 Sportage makes its mark in a crowded peer set as one of the most visually interesting compact crossover offerings. The tradeoff for those tidy looks is a small interior. By the numbers, the Sportage lands at the small end of its class, and there's no magic that makes the interior feel any roomier. Nonetheless, the front seat has good leg and shoulder room (subtract some head room for the sunroof), and the seats themselves are well-shaped and can be air-cooled on high-line Sportages. Back-seat passengers may be a little tight on both leg room and head room and may therefore find themselves slumped forward. At least Kia provides rear air vents to keep the kids in the rear seat comfortable. Cargo space also suffers. With the rear seats up it measures 26.1 cubic feet. That's more than some luxury 'utes, but it's a tall space without a particularly large cargo floor, so choose your luggage wisely. With the rear seats down, cargo room maxes out at 54.6 cubic feet. 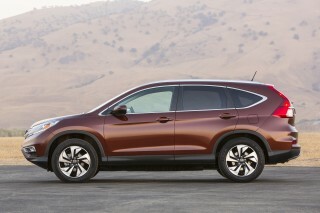 Singles will find that space quite useful, but it's far less roomy than the aforementioned CR-V and RAV4. The Sportage has no significant history of SUV roots to uphold, leaving it free to offer a more interesting driving experience in a car-like package. 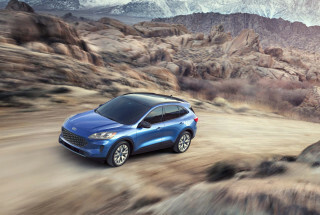 Off-roading isn't on the activities list for this small crossover, nor is it likely expected of its buyer, even though the available all-wheel-drive system comes with a differential lock that splits power 50/50 at speeds up to 25 mph. Cabin noise and ride quality have been weaknesses for the Sportage, compared to most other models in its class. However, with Kia's introduction of more noise insulation as well as high-performance dampers, we're hoping those issues are resolved (and we'll update our impressions here). EX and SX versions boasted more sophisticated shocks for 2013, which made a modest improvement. Keep in mind, the big, optional 18-inch wheels don't help. One of our other ongoing complaints with the Sportage—electric power steering that's a bit too far on the heavy and lifeless side—was addressed for 2014 with the introduction of a new multi-mode Flex Steer system. It allows the driver to switch between three levels of steering weight, but doesn't do much if anything to improve feel. A choice of two 4-cylinder engines is available. At the base level, the 2.4-liter direct-injection inline-4 makes 182 horsepower in the base LX model and 180 hp in the higher-line EX. The 6-speed automatic isn't the quickest-shifting, but it's measured and smooth. The turbocharged SX produces 260 hp; its hefty mid-range torque is enough to break the front wheels loose from a standing start or out of a tight corner. The automatic in the SX gets shift paddles for less distracted driving and better response. 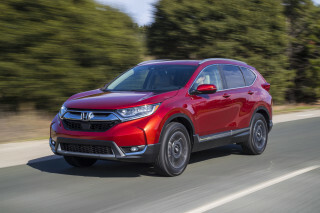 Standard equipment on all three trim levels includes air conditioning; power windows, locks, and mirrors; a tilt/telescope steering wheel; keyless entry; alloy wheels; Bluetooth; and USB/iPod connectivity. Moving up to more expensive models adds features like leather seating surfaces (newly standard for 2016), keyless ignition, satellite radio, and steering-wheel audio and phone controls. The top SX models get a cooled glove box, a power driver's seat, leather steering wheel and shifter trim, roof rails, a rear spoiler, and 18-inch wheels. Kia's UVO eServices telematics system with navigation is available on the EX trim and standard on SX; it includes a rearview camera. Standard curtain airbags and stability control are joined by optional rear parking sensors and the rearview camera, both of which help with the Sportage's sizable blind spots. Safety is beginning to fall behind the class average. The federal government gives the Sportage four stars overall with front-wheel drive and five stars with all-wheel drive, but the Sportage scores the worst rating of "Poor" in the IIHS's small overlap frontal crash test, which prevents it from earning the Top Safety Pick award it had prior to the addition of that test. With front-wheel drive and the base 2.4-liter inline-4, the Sportage returns 21 mpg city, 28 highway, 24 combined. The turbocharged 2.0-liter four in the SX drops those numbers to 20/26/22 mpg. Several competitors top 30 mpg on the highway. With all-wheel drive, the Sportage is rated by the EPA at 19/26/22 mpg with the 2.4-liter and 19/25/21 mpg with the 2.0-liter turbo. Tight dimensions and Kia's penchant for design give the Sportage a sleeker, more interesting shape than most compact crossovers. 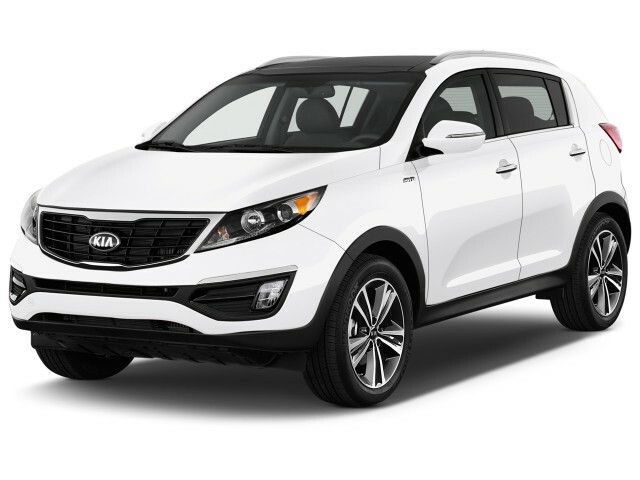 The 2016 Kia Sportage stands out from the crowd due to its good looks. The proportions are neat and trim, and it has a more rakish profile than just about any vehicle in its class. The front end is particularly crisp, with a sort of elegant simplicity in the way the headlights and spoiler play with the reverse-bowtie blacked-out grille. That grille is a Kia family trademark, and the headlights are tucked in seamlessly along its sides. The light sculpturing down the flanks make the Sportage’s straight lines look even better in relief, and the roofline has a tipped-back attitude on loan from the Soul five-door. The overall proportions are reminiscent of European hot hatches, but the high stance and slightly snubbed nose are pure 'ute, as is the rectangular, function-driven interior. The Sportage's cockpit also has a sporty feel to it. Big gauges are framed by a rectangular dash. The materials feel substantial, giving the Sportage an advantage over several rivals. The available turbocharged engine is a welcome surprise in this class, but the Sportage's handling does not impress. The Sportage's driving character has evolved since it was introduced for the 2011 model year. We've had an ongoing complaint about the electric power steering, which was always a bit too heavy-feeling and pretty lifeless, especially given something that acts sporty otherwise. The steering was addressed in part for 2014 with the introduction of a new multi-mode Flex Steer system. It offers a choice of three different steering weight settings, but unfortunately adds no more feel. Ride quality had been another disappointment up to the 2014 model year It's been a touch rumbly, especially on the big 18-inch wheels that are offered in top trims. Taking the sporty idea too far, the suspension is tuned to be a bit too stiff and jarring, with too much road noise making its way into the cabin on coarse surfaces. Kia added new high-performance dampers for 2014, along with more noise insulation, so that should at least lessen those concerns. We'll update these impressions as soon as we drive a revised model. The Sportage's optional turbocharged 4-cylinder helps it stand out in terms of power, while the base non-turbo inline-4 is pleasant enough and returns good fuel economy. 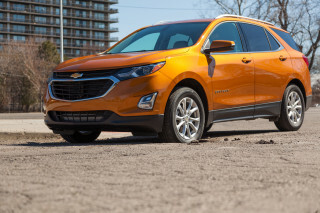 That 2.4-liter base engine produces 182 hp in the base LX model and 180 hp in the EX. It uses direct injection to both maximize output an manage fuel use. It feels plenty perky with the standard 6-speed automatic and front-wheel drive, although the all-wheel-drive version can feel a bit taxed. Choosing the Sportage SX specifies a turbocharged 2.0-liter inline-4 that lifts output to a healthy 260 hp. That's more than enough to overpower the front wheels a few rotations before the traction control cuts in on the dance. With the turbo also comes a pair of shift paddles to get the driver more involved. Throughout the lineup, though, we've felt that the accelerator pedal is just a little too touchy at tip-in. One somewhat counterintuitive way to manage this is to keep the Eco button selected, which dulls throttle response to an acceptable level on take-off, but also makes it less responsive when you want to pass. The all-wheel-drive system that's available through most of the lineup has a true locking differential that splits power 50/50 front-to-back at up to 25 mph. It’s great for peace of mind, less so for handling and fuel economy, but probably a necessity to handle the horsepower emanating from the SX's turbo-4. The AWD system adds about 200 pounds, so unless you’re in snowy northern tier, pass on the AWD system with the base engine to save on weight and gas. Cargo room is useful but small for the class, and the back seat lacks legroom. While many rivals have drab interiors, the 2016 Kia Sportage's cabin elevates it above its basic mission. The Sportage's high quality interior has more soft-touch materials, attractive surfaces, and thoughtful detailing than the class norm. Interior space, on the other hand, is a problem. The Sportage has good leg and shoulder room in front (subtract some head room for the sunroof). The front seats are well-shaped and supportive enough and offer adequate adjustment to stay comfortable even on longer rides. Plus, they are ventilated in the SX model. 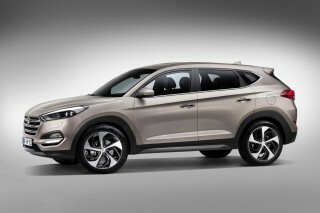 In back, however, it's a different story due to the Sportage's somewhat small exterior dimensions and rakish roofline. Rear seat passengers may be a little tight on head room and leg room and find themselves slumped forward, but Kia at least keeps the kids comfortable with rear air vents across all trim levels. Cargo space measures 26.1 cubic feet with the rear seat up, which is more than some luxury 'utes, but it's a tall space without a particularly large cargo floor, so choose your luggage wisely. With the rear seat down, that expands to 54.6 cubic feet, which is quite useful but far less than rivals like the Ford Edge, Honda CR-V, and Toyota RAV4. Mediocre crash-test scores and a lack of today's high-tech safety features leave the Sportage lagging in terms of safety. The 2016 Kia Sportage has healthy list of safety features, but it isn't offered with many of today's crash prevention systems and its crash-test ratings are mediocre. Standard safety features include dual front, side, and curtain airbags; anti-lock brakes; and stability control. In addition, all Sportages have standard hill-start assist and downhill brake assist, which aid all-traction capability. Kia's list of optional safety features for the Sportage is rather light. Because of the significant blind spots inherent to the vehicle's design we recommend the rear parking sensors and rearview camera, which are packaged with the available UVO eServices system. 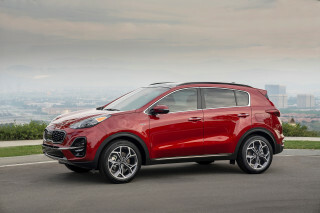 The Sportage earns mostly top ratings of "Good" from the IIHS. The problem is the newer small overlap frontal test, in which the Sportage gets the worst possible rating of "Poor." 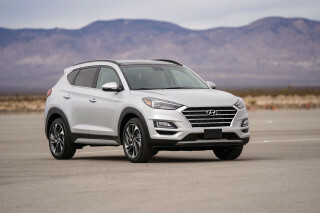 In testing conducted by federal officials, front-drive Sportages receive an overall score of four stars, while all-wheel-drive models earn a five-star score. Both versions earn five stars in frontal and side crash tests, and four stars in the rollover category. Smartly equipped the Sportage can be a good value, but prices rise over $30,000 for better equipped models.. 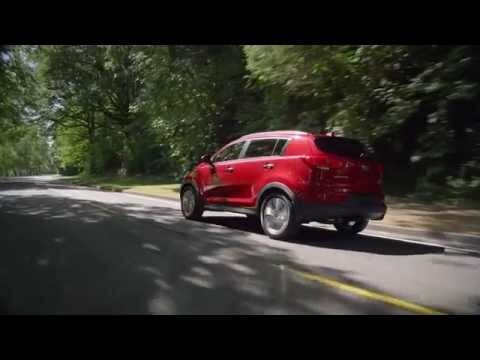 The 2016 Kia Sportage is offered in three trim levels: LX, EX, and SX. For about $23,000, the base LX model comes with such features as air conditioning; power windows, locks, and mirrors; a tilt/telescopic steering wheel; keyless entry; Bluetooth; USB/iPod connectivity; and 17-inch alloy wheels. The EX starts around $26,000. It adds 18-inch wheels and the UVO eServices package, which comes with satellite radio, steering-wheel audio and phone control, and optional navigation. For 2016, it also adds leather upholstery and keyless ignition with Smart Key as standard. The top SX is the only trim available with the 2.0-liter turbo engine, which is standard. The SX comes with a power driver seat, a cooled glove box, standard navigation, a leather-wrapped steering wheel and shifter, and different 18-inch wheels. For 2016, it also gets a panoramic sunroof, a universal garage door opener, ventilated front seats, and, like the EX, leather upholstery. The SX carries a base price tag that starts around $31,000. Those looking for fuel economy should stick with the base engine and front-wheel drive; the turbo and all-wheel drive cut mileage more than we'd like. The fuel economy offered by the 2016 Kia Sportage is competitive but nowhere near the best in class. As expected, fuel economy is better for models with front-wheel drive and the base engine. 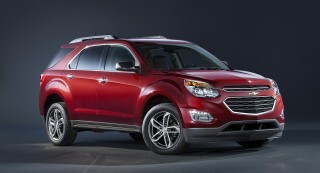 With front-wheel drive and the base 2.4-liter inline-4, the Sportage returns 21 mpg city, 28 highway, 24 combined. The turbocharged 2.0-liter inline-4 in the SX drops those numbers to 20/26/22 mpg. Several competitors top 30 mpg on the highway. 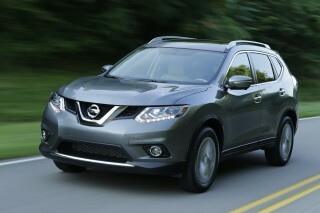 Comfortable, perky, head-turning crossover that's also fuel efficient! Looking for a different year of the Kia Sportage?